Clothing/Jewelry Description A white sweatshirt with the words "University of Paris" in blue, pink and yellow print, a pink turtleneck, light blue jeans and white Keds sneakers. Distinguishing Characteristics Caucasian female. Blonde hair, blue eyes. Kersey's ears are pierced. Some agencies spell her name "Kimberly." She wore an upper dental retainer at the time of her disappearance. 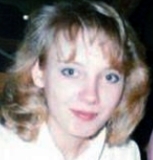 Kersey was last seen walking in the Hearthwood Boulevard area of Vancouver, Washington on March 11, 1987, while on her way home from Mountain View High School, where she was a senior. Her residence was two miles away in the 13600 block of northeast 18th Street, and her typical route was to walk north across Mill Plain Boulevard, just east of Evergreen Airport. She did not always walk home; sometimes she caught a ride with her father or with a friend. Kersey had plans attend a basketball tournament in Tacoma, Washington with her boyfriend after school. She never arrived home. The day after her disappearance, Kersey's schoolbooks and papers were found in a wooded area not far from her home. She has never been heard from again. 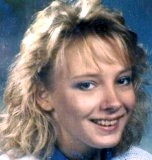 Authorities have two main suspects in Kersey's disappearance: Russell Francis Stenger, who is currently serving a life sentence for the murder of a woman who disappeared while on a walk not far from where Kersey was last seen, and an unidentified man who used to live two blocks from Kersey's home and who has a record for child molestation. The man has since left the state. Investigators continue to pursue leads in Kersey's case; they strongly suspect foul play precipitated her disappearance. Kersey lived with her mother and two siblings in 1987; her parents were divorced, and her father lived nearby. Kersey's case is unsolved. Her mother died in 1996, but her father and younger sister are still alive and hope for answers in her disappearance. Updated 8 times since October 12, 2004. Last updated March 14, 2018; picture added.